Classic, elegant and beautiful! 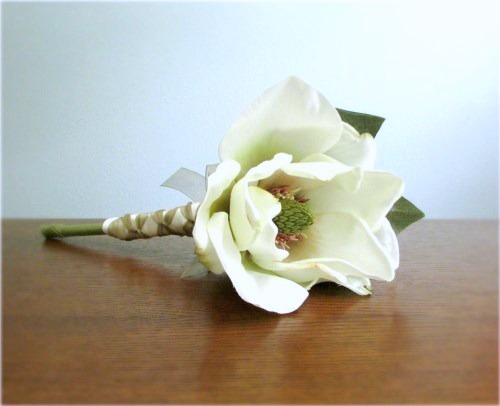 This stunning hand-tied bridal bouquet is crafted from silk magnolia blossoms. 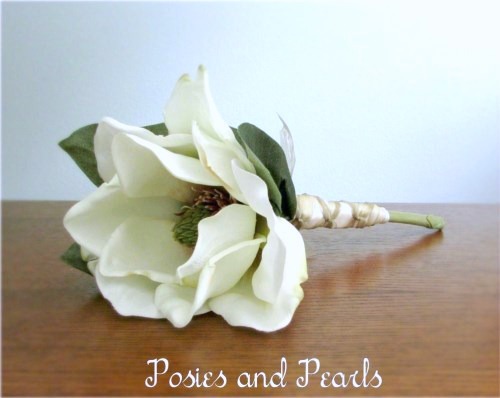 The tops of the stems are wrapped with smooth cream colored satin with antique gold organza French knotted over top. The ends are exposed adding a natural, fresh cut appeal. 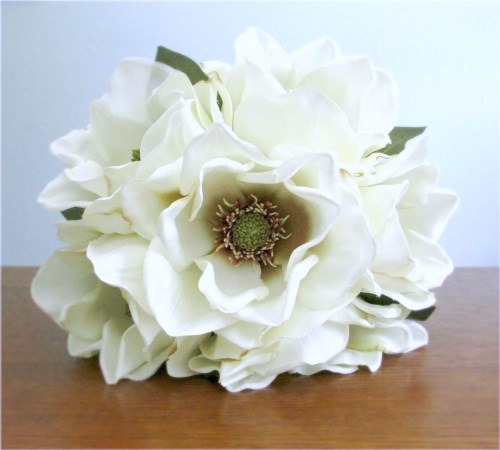 This lovely bouquet is an ideal choice for modern brides! 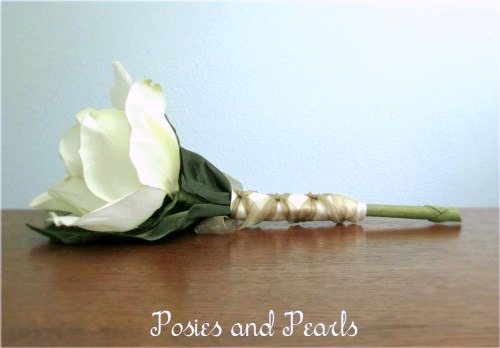 CUSTOM REQUESTS: The stem wrap on your bouquet may be any color you like. Accents such as lace can be added to coordinate with your wedding scheme. Contact me anytime to discuss your options. 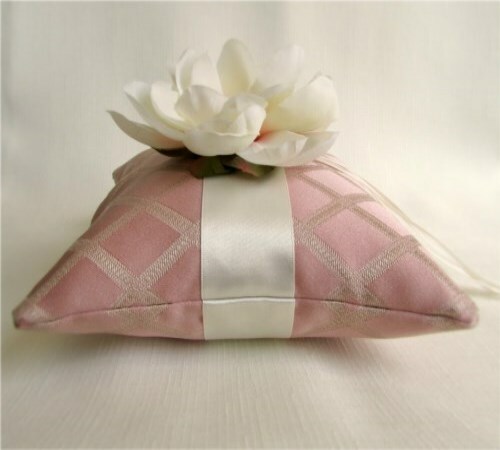 Magnolias are said to represent splendid beauty and dignity. 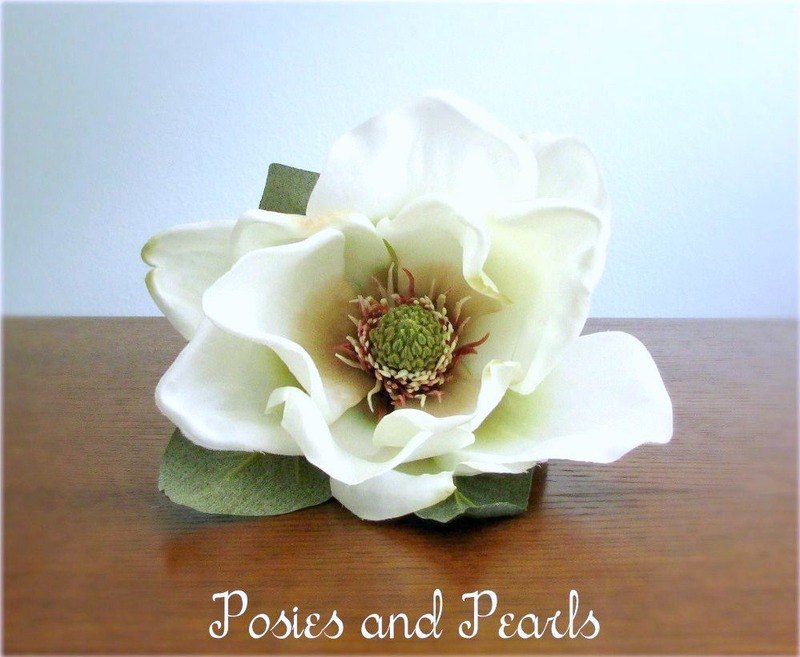 They are the official state flowers of Mississippi and Louisiana.